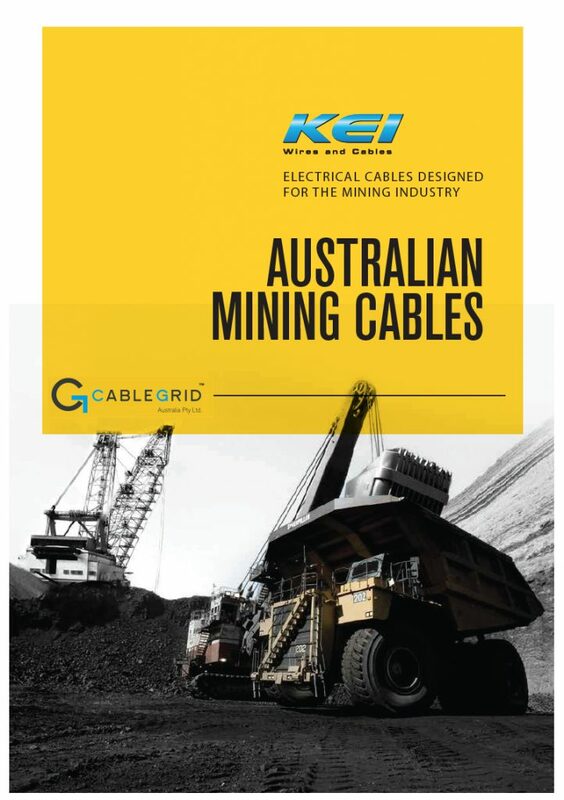 CableGrid is the exclusive distributor for KEI Cables India’s complete range of Cable products in Australia and New Zealand. 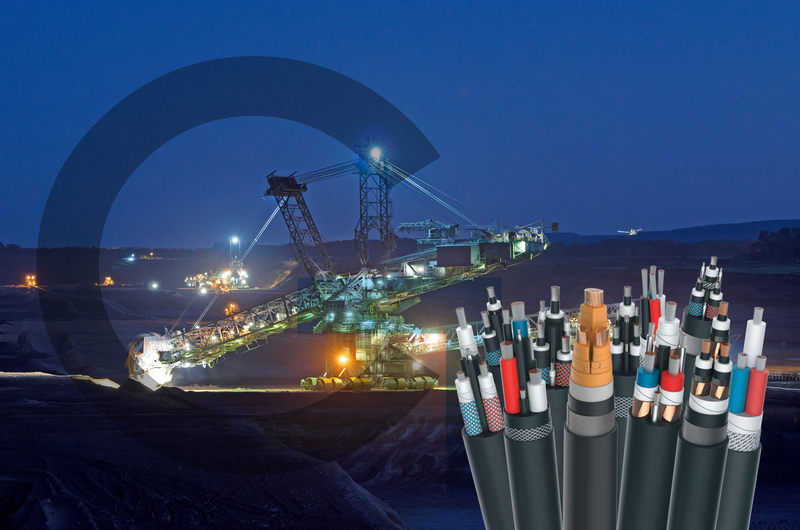 KEI, as a leading LV and MV Mining cables manufacturer in India that has a state of art Rubber cable plant that uses CCV technology and well known for premium quality products for mining, reeling and trailing applications. LV and MV Mining cables at KEI are manufactured in accordance with AS/NZS 1802, AS/NZS 2802, AS/NZS 1972, AS/NZS 5000.1, AS/NZS 1429.1 and other relevant specifications. 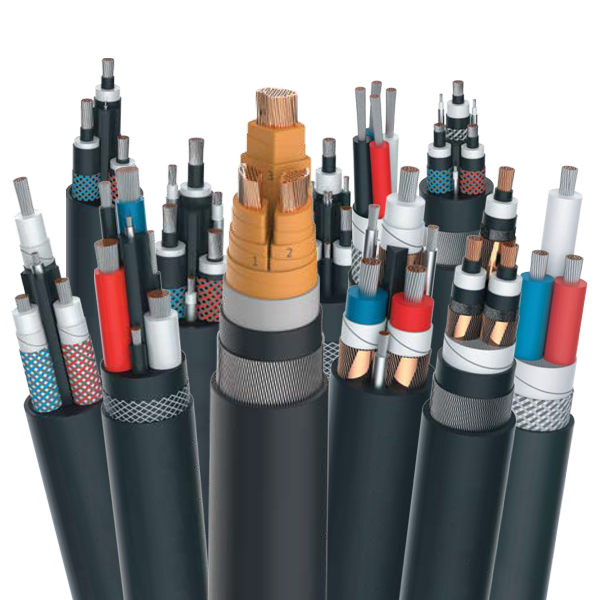 Our Medium Voltage Mining cables are manufactured using latest in technology triple layer extrusion, with elastomeric Semiconducting bonded conductor screen, elastomeric insulation and over elastomeric semiconducting layer in one continuous process, ensuring longer cable lifespan with minimal breakdowns. EPR use in cables ensures excellent Electrical and Mechanical performance, flexible and robust design, also with lower dielectric factor. Flexible conductors complying to AS/NZS 1125 have superior crush resistance, small diameter, suitable lay length and lay direction to limit resistance values and minimize the cable distortion in service. The most common type of insulation compounds used are Ethylene-propylene copolymer (EPR) and terpolymer (EPDM) for flexible cables, offering excellent thermal durability, corona resistance and electrical characteristics. Insulation materials have good dielectric characteristics and resistance to deterioration due to ageing, heat effects and moisture. Cradle separators are used for reeling and trailing cables making it more flexible and robust. The elastomeric over sheathing compounds used has excellent oil, UV and chemical resistance properties. Mining Rubber and Paper Lead Cables include voltage grade ranges in 1.1kV to 33kV, ideal for power transmission & distribution. Manufactured and Type Tested AS/NZS 1802, AS/NZS 2802, AS/NZS 1972, AS/NZS 5000.1, AS/NZS 1429.1 and other relevant specifications. Conductor – Flexible rope lay Copper, bunched Copper, Sector Shaped Copper for Paper insulated, Stranded circular, Compact circular copper. Pliable Steel Strand Armour – Pliable amour comprises galvanised low-carbon (mild) steel strands applied helically over the inner sheath to provide close cover. The wires comply with the requirements of AS/NZS 3863. GSWA or Paper cable. We have a complete range of 1.1kV – 33kV cables manufactured to AS/NZS 1429.1 and Internally Type Tested at NABL accredited lab and other internationally recognized NATA accredited laboratories.